This award-winning graded readers series is full of original fiction, adapted fiction and factbooks especially written for teenagers. 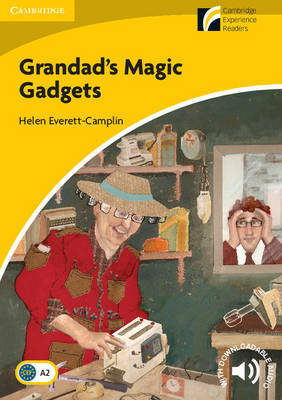 Marvin lives with his parents and a grandfather who is always inventing new gadgets to help his family. But his grandfather's inventions often end up making Marvin's life harder. Then one particular invention proves a success but it also attracts unwanted attention from a school bully. This paperback is in British English. Download the complete audio recording of this title and additional classroom resources at cambridge.org/experience-readers Cambridge Experience Readers get teenagers hooked on reading.